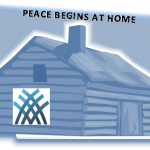 Peace Begins at Home (PBH) is a peace education initiative that aims at creating a culture of peace in schools and communities. The project provides a platform to discuss topics such as protecting young people from violence and bullying while examining cultural and systemic levels of oppression. Through the process of engaging in various sessions, students are able to share in a safe space and discuss ways of spreading a culture of peace in their home, community and school. The initiative came to fruition as a result of an expressed need by a staff member at the Rexdale Women’s Centre. The vision for Peace Begins at Home was born within the community. The creation of the project was put in motion by the collaborative relationship between the Rexdale Women’s Centre, an OISE faculty member and InterChange, a peace organization with ties to the Transformative Learning Centre at the Ontario Institute for Studies in Education. The pilot project took place at Kipling Collegiate Institute (KCI), a Toronto District School Board (TDSB) secondary school. The students who participated in 2010, in both the Spring and Fall sessions, are part of the Literacy Enrichment Academic Program (LEAP). LEAP is a special program for students aged 11- 18 who did not have the opportunity to attend school regularly before arriving in Canada. Many of the students come from unstable countries; this instability significantly contributes to familial challenges. Thus, Peace Begins at Home is particularly beneficial to LEAP students who have been marginalized and are learning to adapt to a new environment in Canada. In 2011, the programme continued on for its first trial at Lakeshore Collegiate Institute (LCI), another TDSB secondary school. Two 4 session workshops were facilitated, both in the Fall and Spring sessions with an excellent student turnout. Students had the opportunity during their lunchtime periods to join in on the workshops; during these sessions, the students were fully engaged and committed to the programme. The programme offered students the opportunity to work in small groups, actively partaking in group activities, and share with their fellow students in a trusting and intimate environment. In addition to the student workshops, parents were also invited for an even session during the course of the 4-day workshop to learn more about the benefits of the programme and to build greater understanding with their children as participants of the programme. The project uses principles of Adult Education where a reciprocal relationship between teaching and learning is used to facilitate critical reflection and action among students. The methodology focuses on the experience of the participants and uses group dialogue to help foster relationships rooted in social justice. Moreover, it is important to acknowledge that the public school system by virtue of its make-up can act as a forum for progressive change where students of different backgrounds can share their knowledge and act collectively in the pursuit of building peace. 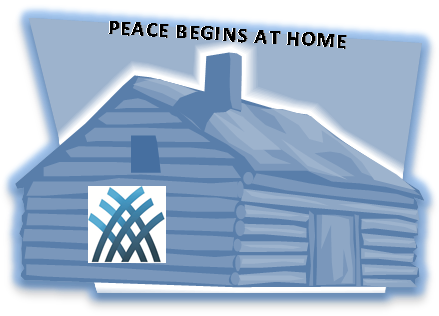 Please click on the following link to find out more about specific programme objectives for Peace Begins at Home. The sessions use tools such as brainstorming, role-playing, popular theatre, art and drama to engage the participants and evoke reflective dialogue amongst the youth. In the last session, students have the opportunity to share their experience of participating in the project with school staff and community members, such as settlement workers, the police, local politicians and parents. Students are awarded with peace building certificates and given recognition for their contributions to the project, thus encouraging a sense of agency in students to act as stewards of peace within their school and community. The session facilitators include: OISE/UT graduate students with an interest and expertise in peace education working as resource people/co-facilitators. Acting as role models, they added a great deal to the programme, including translation, popular theatre expertise, and experience working with young men. Other facilitators included members of InterChange, an OISE faculty member who teaches a course in Community Healing and Peacebuilding, as well as staff from the Rexdale Women’s Centre and community liaisons. In expanding to other schools both elementary and secondary, local community centres will also play a critical role in supporting the project’s objective. In the final session, to compliment the student presentations, community organizations could bring resource information about their work to show how links could be made within the school community. The project was well received by participating students, teachers and the administration. It is apparent there is a need for such programs in our schools as many youth, parents, teachers, and communities are striving to create an environment that is peaceful and safe. The project is adaptable in order to meet the needs of each school, as such, schools may decide which students participate in the project. The project will continue to use the developed methodology in addition to incorporating community members, interested parents/guardians and school staff. Everyone must contribute to building peace. For more information about the programme, or to find out more about how you can bring the programme into your school, please contact community@interchange4peace.org.